Marcellene Watson-Derbigny is the Associate Vice President for Student Retention and Academic Success at Sacramento State. 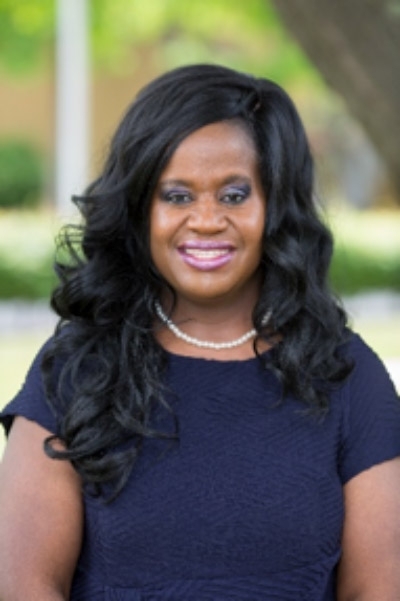 She is responsible for the oversight of services provided by the Educational Opportunity Program (EOP), the Faculty Student Mentor Program (FSMP), the College Assistant Migrant Program (CAMP), the Peer and Academic Resource Center (PARC), and the College Based Educational Equity Programs (CBEEP). All of the programs noted comprise the Student Academic Success and Educational Equity Programs (SASEEP) Unit, which primarily serves students from first generation and low-income communities. Marcellene also works as the Coordinator of the EOP Learning Communities Program and she has been instrumental in growing the program from one to over twenty-five different learning communities. In collaboration with various sectors of the Sacramento State campus, she has also created an academic, social, and faculty training component for the EOP Learning Communities Program. Marcellene currently serves on the California Learning Communities Consortium Task Force, chairs the Campus Educational Equity Committee, and serves as a chair of the Graduation Initiative for Sac State. Marcellene has also served as an adjunct faculty member for the Department of Psychology. She holds a bachelor’s degree in Psychology, two master’s degrees, one in Psychology and the other in Clinical Psychology, and a doctorate in Educational Psychology with a minor in Educational Administration.